Remember Baby O's birthday party at the beginning of summer? Well, I asked my sister if she could do a quick tutorial on how to make a homemade pinata. She said, "Spend $20 bucks and go buy one from the store." Oh, I hope she doesn't resent us too much for all that we put her through this summer. 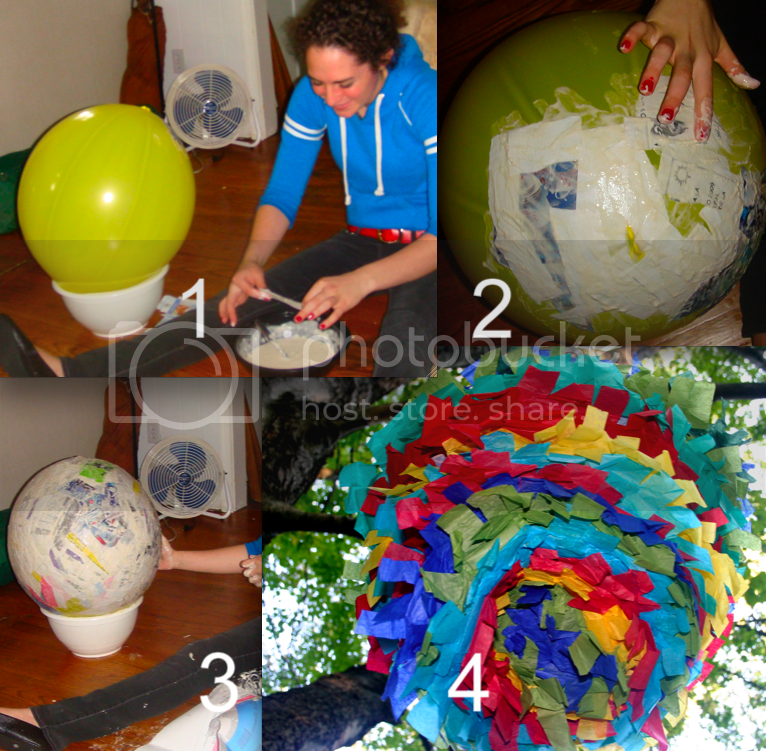 Or you can watch this video on how to make a pinata. Happy Birthday Kar! We miss you out here and we love you!